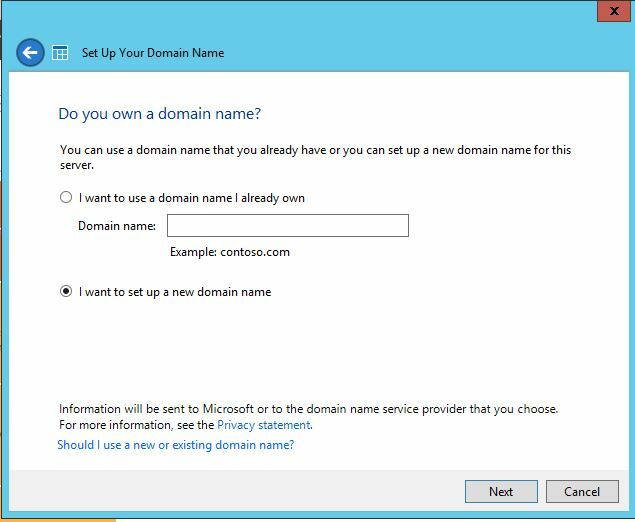 I was at the Microsoft Partner Summit in Mississauga last week and ended up in a discussion with a gentleman about Windows 2012 Server Essentials and Office 365. 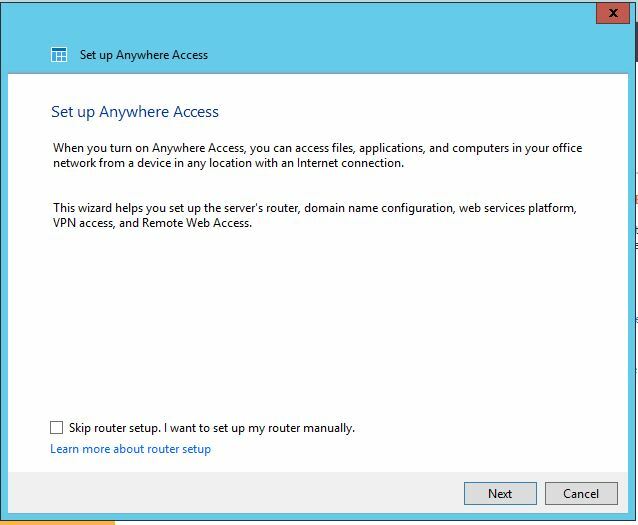 Windows Server 2012 Essentials replaces the SBS and does not include SharePoint or Exchange, but you can connect to an existing Exchange server, hosted Exchange service, or Office 365, as I outline below. 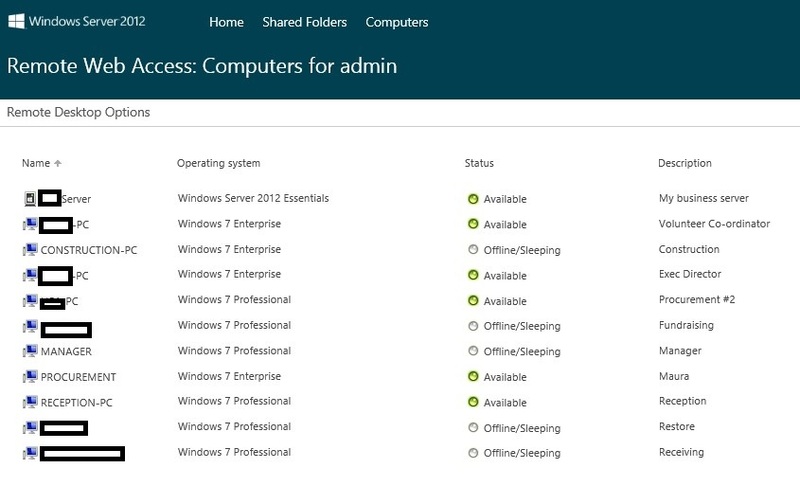 SBS 2011 Essentials and Windows Server 2012 Essentials are my go-to server installations for small companies (less than 25 accounts). They’re great operating systems for smaller companies that needs a server for LOB applications, file shares, and backups. 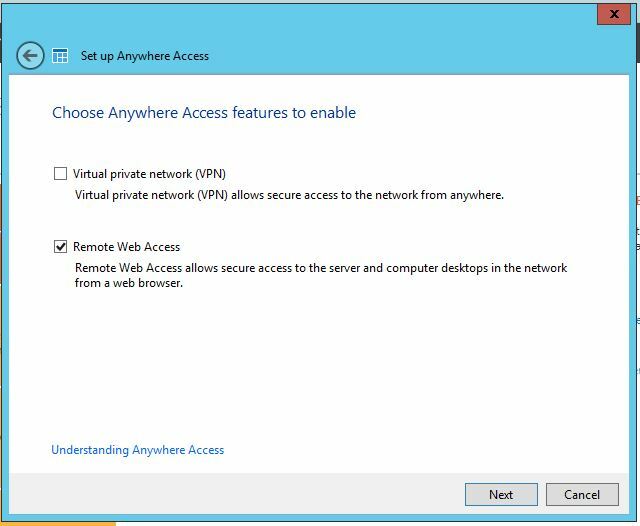 Plus, you can easily access your server files and desktop using the Anywhere Access feature. 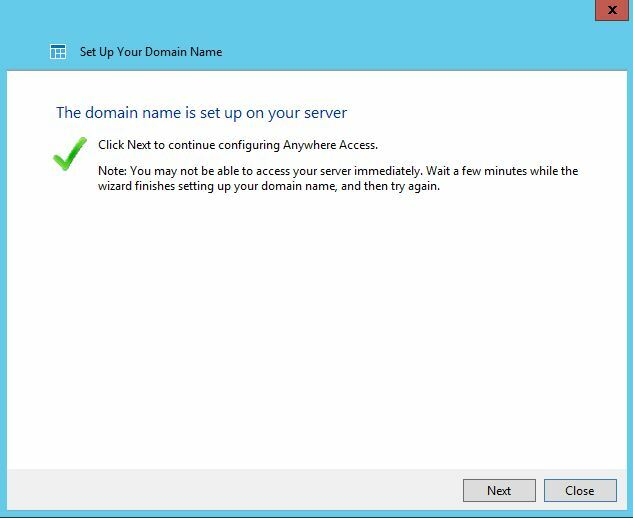 In this post I’ll outline how to integrate Office 365 with Windows Server 2012 Essentials. 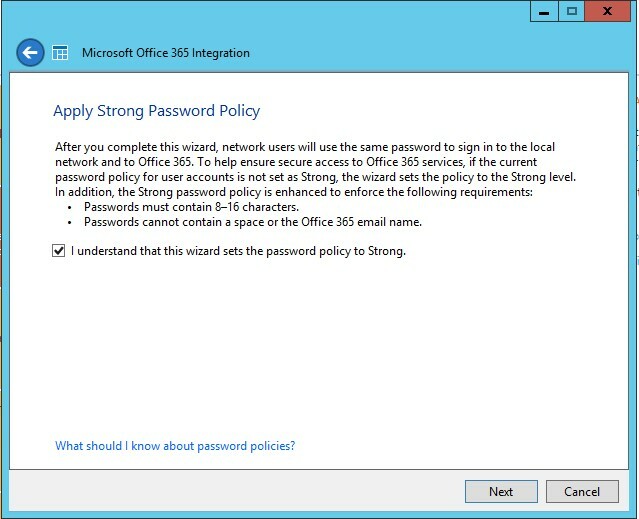 I used an existing Office 365 account that I currently have access to, and it could not have been easier. First from the Dashboard, select the Email option. 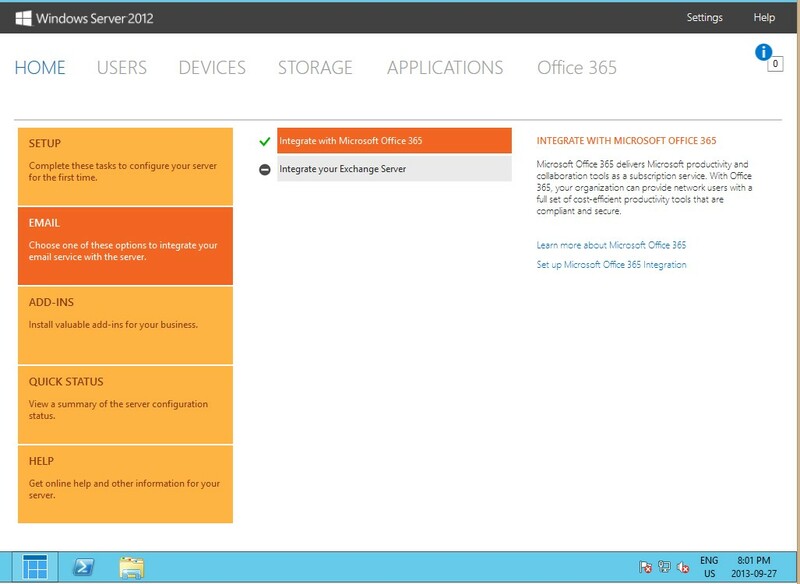 In my case I wanted to integrate with Microsoft Office 365 and not an Exchange Server, but if you have an Exchange server, either hosted or on premise, you could integrate with it. You will be presented with the Getting Started window. Again, because I already have an existing subscription, I selected this option. 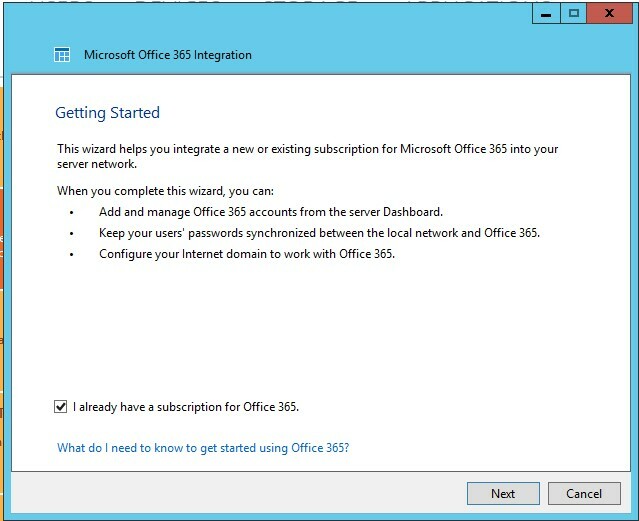 If you do not have a subscription, uncheck the box that indicates you do, and the wizard will help you set one up. 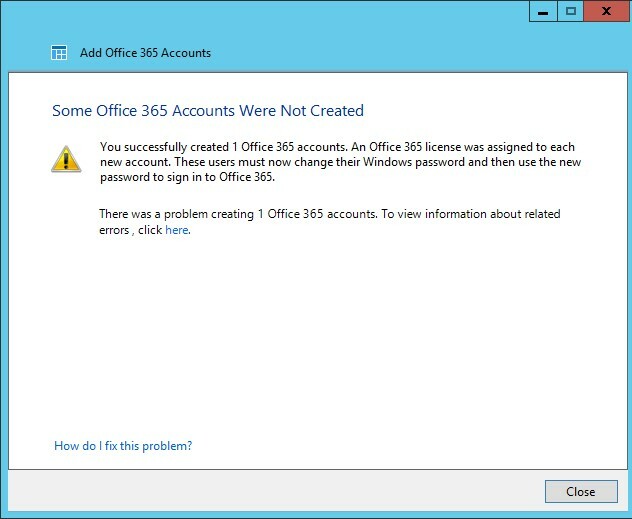 I then provided my Office 365 account information. Next, agree to the password policy. We should all be using strong passwords anyway! 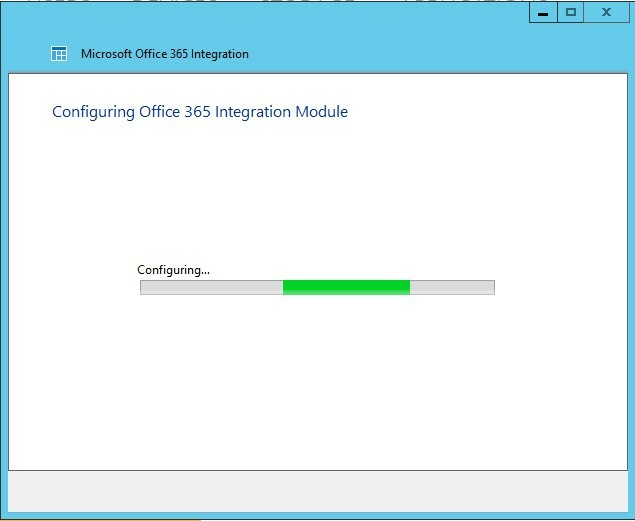 Then wait until the configuration is complete. I didn’t even have time to get a coffee. And we’re done! How painless was that? 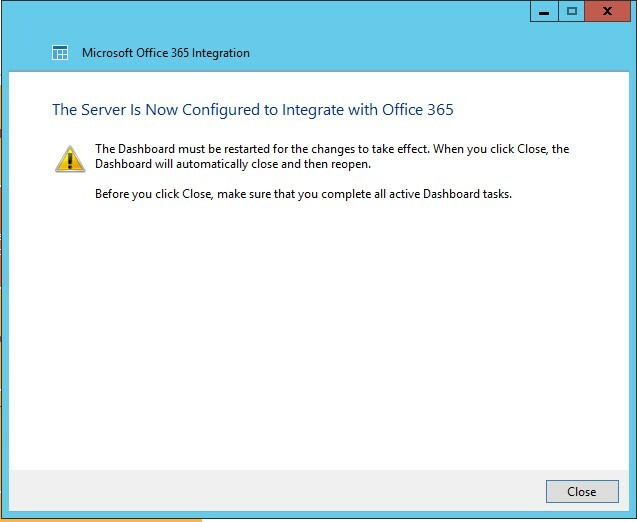 The next time you open the Dashboard, you will notice the check mark beside the Office 365 integration and a new tab labelled Office 365. 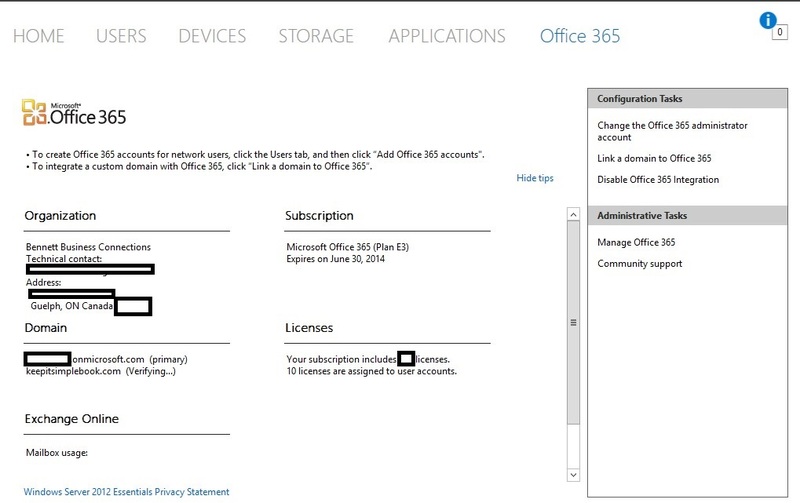 Selecting the Office 365 tab will display your account information. Now that the two products are connected we can easily manage both accounts. 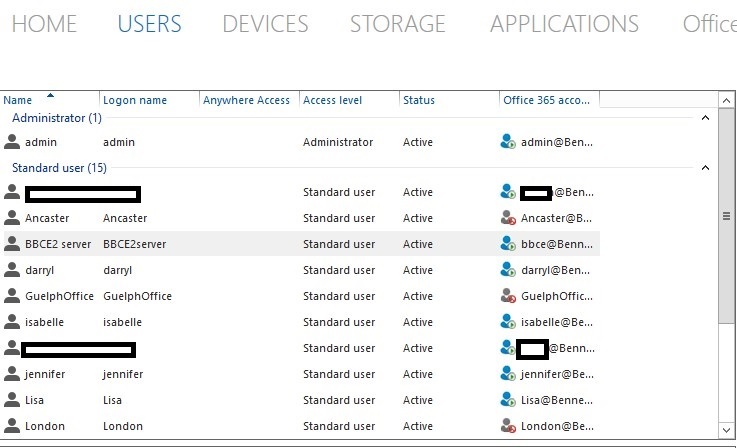 We can either Add or Assign Office 365 accounts from the Users tab in the Dashboard. 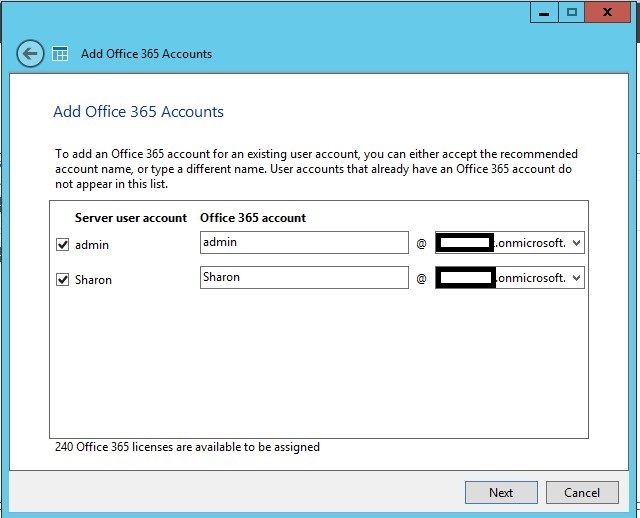 To add or connect existing Office 365 accounts, select the Add Office 365 Accounts link. 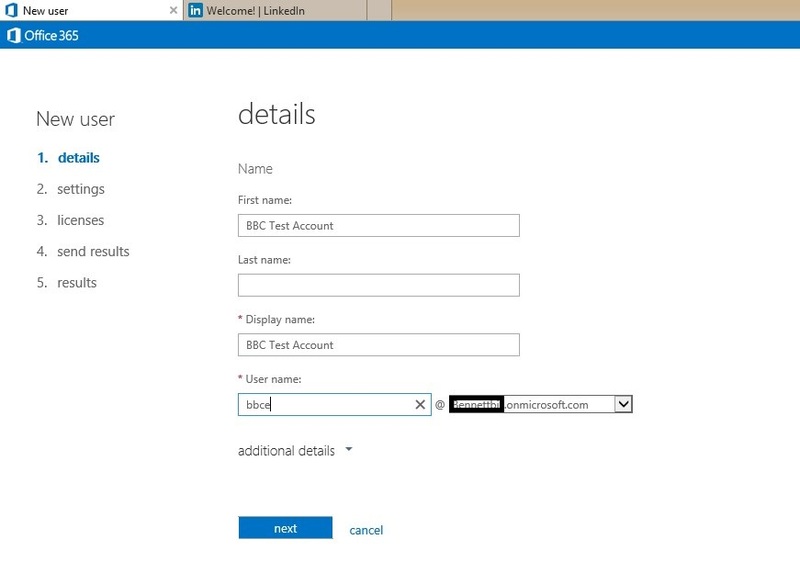 If the account names are the same, the application will automatically match the accounts for you. Brilliant! A report stating success and/or failure is now presented. 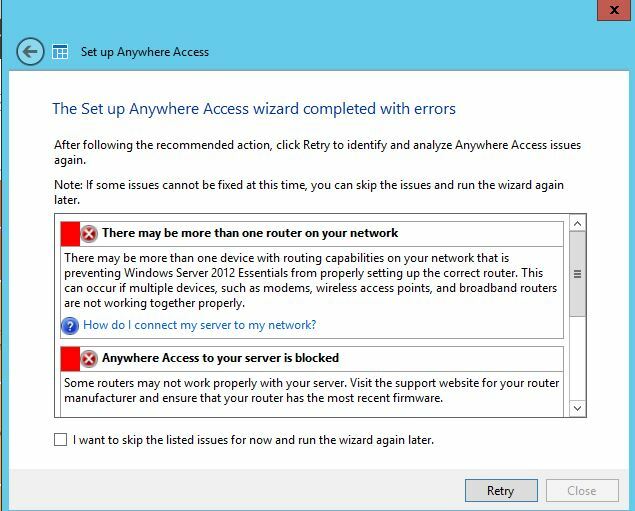 If the installation was a success, you now have the associated server accounts. 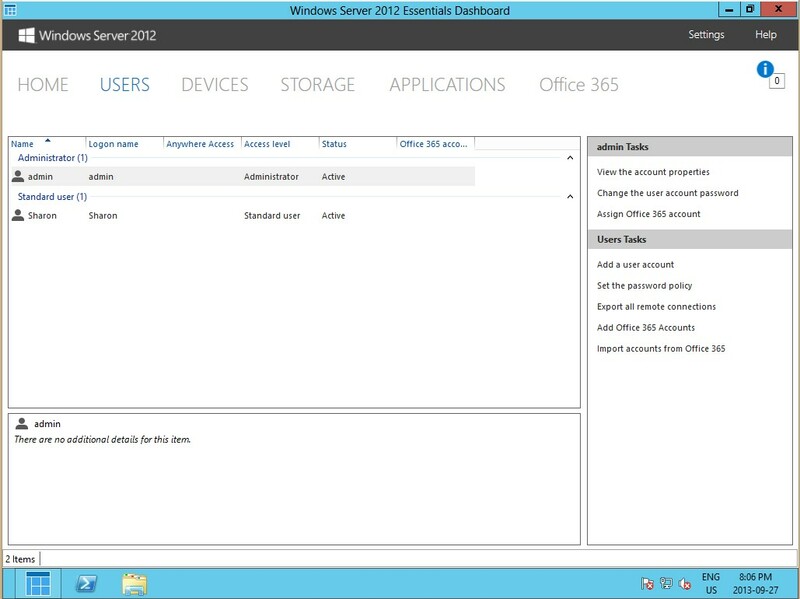 If you already have the Office 365 accounts created, you can easily add them to the Windows 2012 Essentials server. 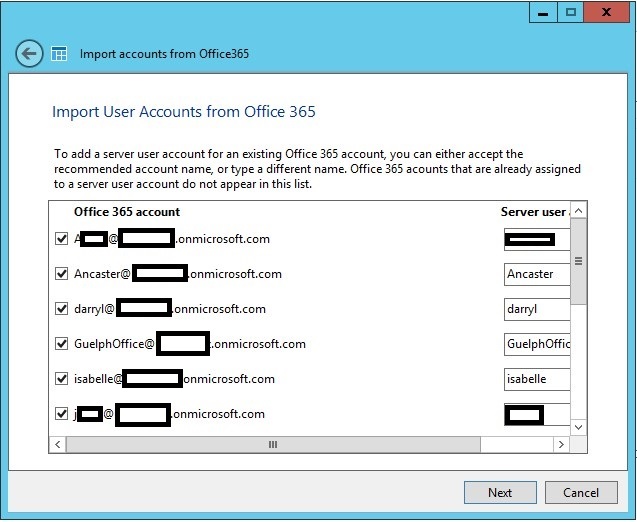 Select Import Accounts from Office 365 from the Users tab in the Dashboard. 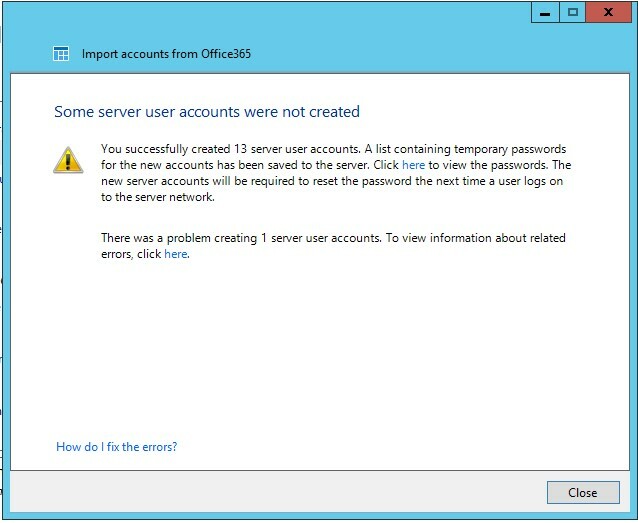 Again, the application will create server accounts based on the Office 365 account name. A status report is once again presented after the accounts are created. 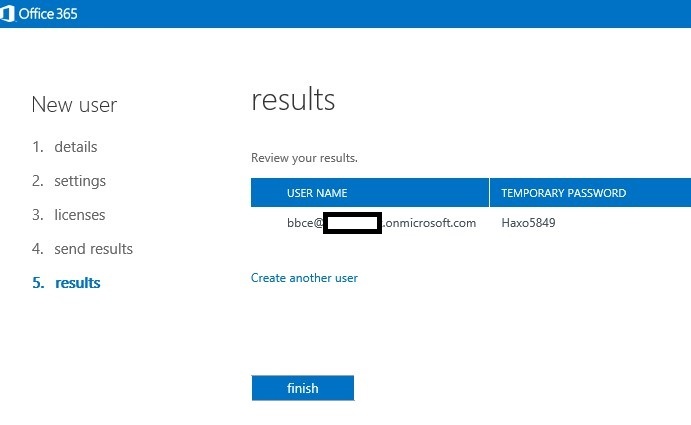 You can also add users using the Office 365 web portal. 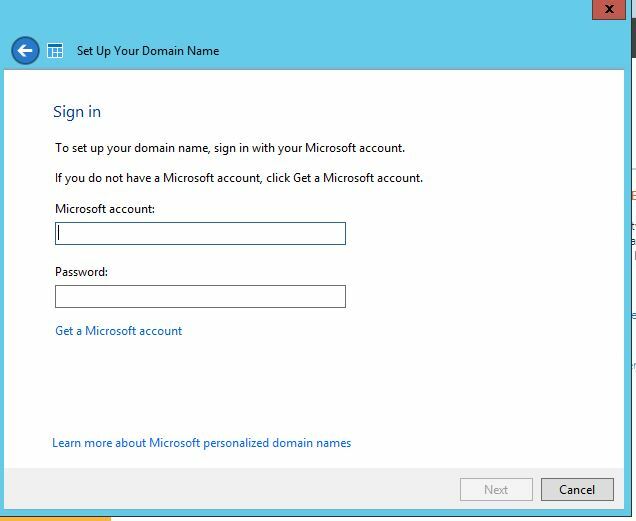 Create the account as you normally would in Office 365. 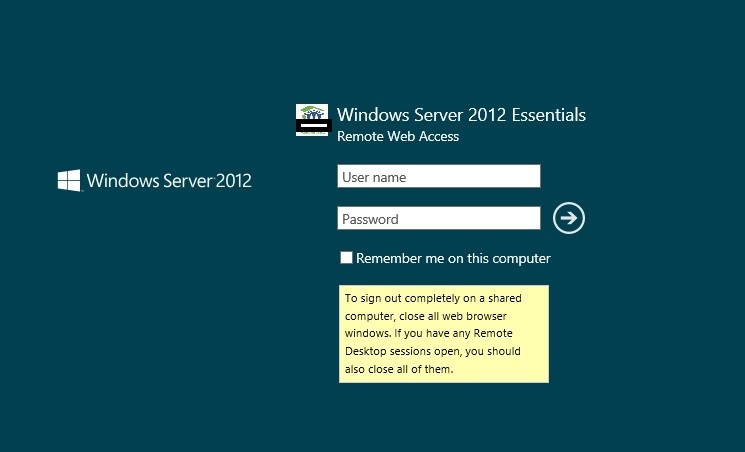 Once the account has been created, access the Add a User Account from the Windows 2012 Essentials Dashboard. 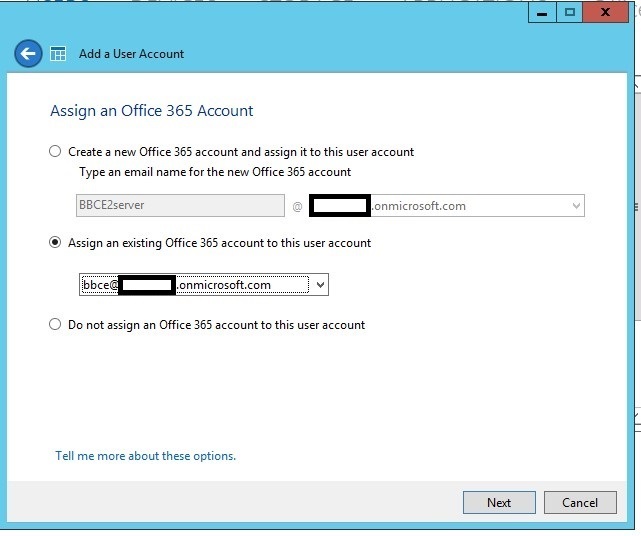 In the above example I assigned the previously created Office 365 account to the user account (option 2). 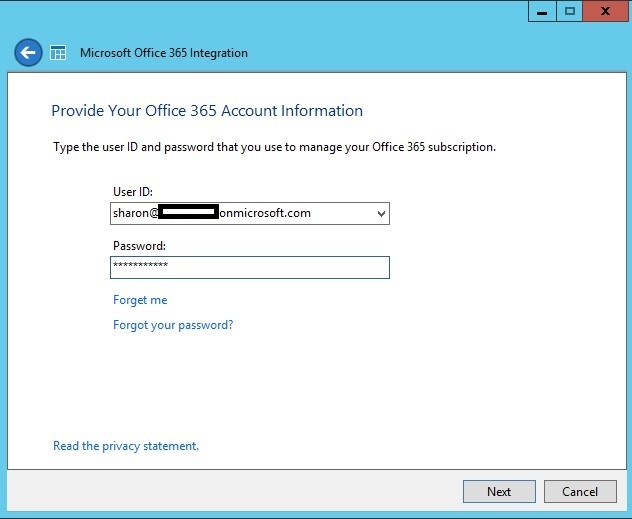 You can also create an Office 365 account and assign it to a user account (option 1). 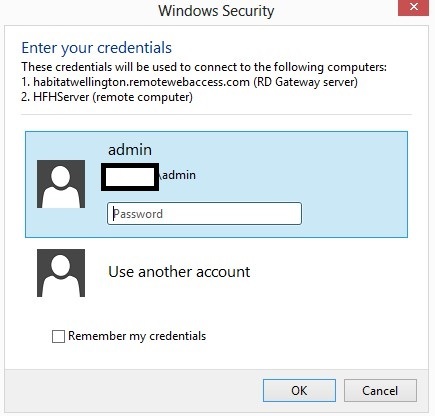 You can also leave the account alone and not assign it to a matching user account (option 3). The account will then be added to the server users. This is a great solution for the small business (less than 25 users). Users can easily be managed by the company, saving them time and money. 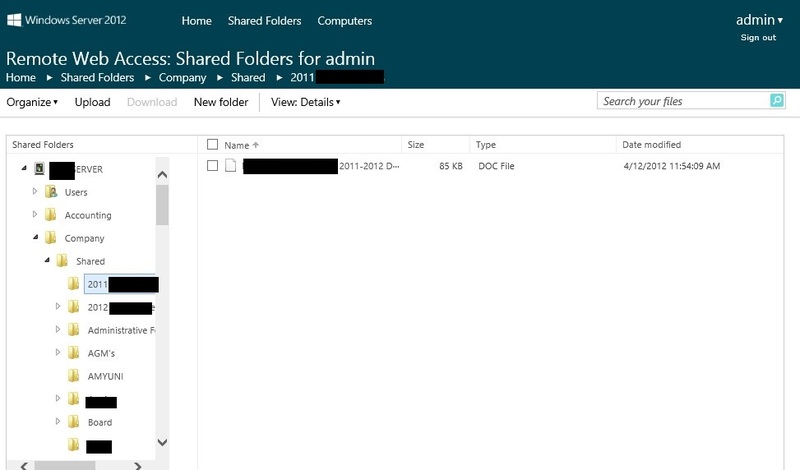 The one thing I would love to see added is easy integration from SharePoint component to Office 365 to internal folders on the server. I thought this was possible but I haven’t been able to determine how to connect the two. If you know how to do this, please add the solution to the comments. Thanks! P.S. I’m hoping to turn this into a series of Essential How-To’s. 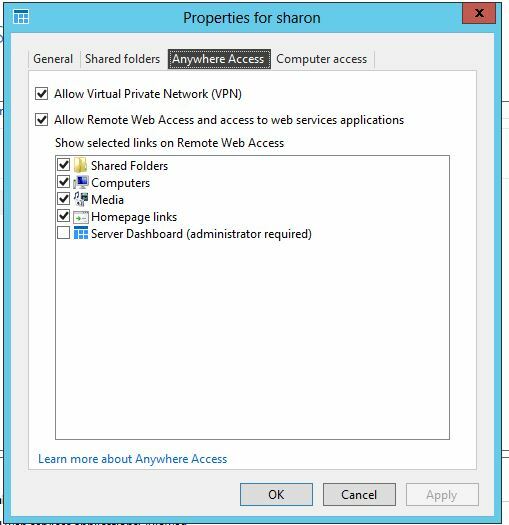 My last article (Bending the Sharepoint Rules) highlights some of the unique challenges SMB IT providers face. 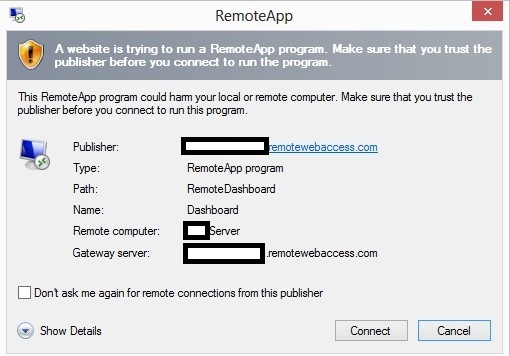 My solution may not have been the proper one, but it was the best solution for the client, and it’s working beautifully, by the way. Disclaimer: I would never compromise on the security of a client’s data and I would recommend the proper and best practices in those situations. In this case, data loss/integrity were irrelevant. This client has about 20 internal staff and 100 employees on the floor operating over 2 shifts. They do not have an IT person on-site, nor a champion user to handle IT challenges. It is critical that their systems run automatically and without intervention. They also need simple solutions to their workflow needs that can be easily handled by the users, and a detailed “how-to”. This type of scenario is very common in the SMB world. Working with SMB’s is very different from working in enterprise: it’s never the same. Here are some of my tricks to keep my SMBs running smoothly, and allowing me to work in my jammies all day. Many SMBs do not know what technologies are available to help them. Once you understand what they are trying to accomplish you can then suggest a solution that best meets their needs. Focus on what you can do to solve their pain-points and do it simply and within budget. Times are tight, and even tighter for small businesses. They are trying to build a business, while paying their employees and bills. It’s tough. Once you understand their needs, make sure your solution stays within their budget. Yes, you may not always be able to install the top of the line hardware, but ensure that what you do install works well and solves their needs, and will meet their needs for an agreed-upon time. As already mentioned, budgets can be tight in the SMB space, and as IT professionals we understand best practices, but they may not always be an option. Again, come up with a solution that works, but ensure that the client understands the consequences of the decision after you have fully explained all the options and outcomes. Many SMBs don’t care about the technology; just make it work. That being said, they need the solution to be simple and understandable. For example, virtualization is a great technology, but try to explain it to a small business owner, and they probably don’t understand it, which means they won’t move forward with the project. They need to be able to understand the technology that is being used in their office. It’s important to keep them in the loop and involved in the process. This ensures that the solution is only as complex as they can handle. Most SMB’s don’t have an IT person on-site, and in most cases, the closest person to IT support is someone who can make pivot tables in Excel. Once you have a solution in place, it’s helpful to document all the steps for the solution. This gives the users power to solve their own issues quickly. As I have said before, working with SMBs is very rewarding and it’s never the same, but using my tips above, you keep your clients happy and solve their pain-points, while keeping the solution simple and on budget; and you will continue to grow your own SMB. Join us to learn about the advantages of selling both Office 365 and Windows Server! Many small and midsize businesses today are considering the use of cloud-based software applications for the ease, accessibility, and cost benefits they can offer. At the same time, many still need an on-site platform for a range of needs from hosting applications, to print sharing, to storing sensitive financial data. As our valued partner of Office 365, we would love to tell you more about how both of these products have enabled many partners to provide valuable and cost-effective solutions to their customers. 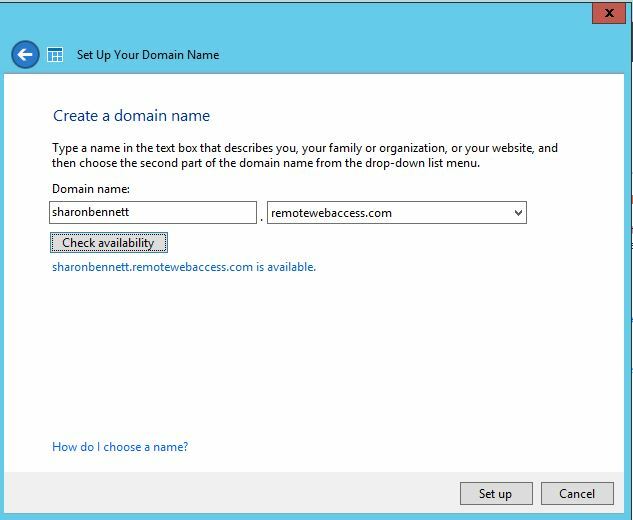 We will also have Sharon Bennett, a Microsoft small business specialist and certified trainer join to speak about deploying Windows Server 2012 with Office 365 and how you can help grow your business with these products. Learn key resources to enable your organization to deliver these solutions and a special offer available to get you selling today! Join our 1hr. webinar on September 16th, 2013 from 10:00 AM – 11:00 AM (EST)!